No longer required … Stephen Ryan’s hosting role axed. 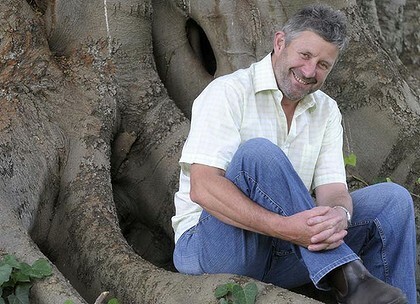 THE host of ABC television’s Gardening Australia program has been told his services will no longer be required next year. Stephen Ryan, who fronted the show for three years, says the program’s executive producer, Tim Mitchell, visited him at his home to impart the bad news. He said before leaving Mr Mitchell also handed him a prepared ABC press release to sign – ”if I approved of the contents and in my own time” – stating that he was ”retiring” from the program to spend more time at his Mount Macedon nursery which needed his attention. But nothing could be further from the truth, according to Mr Ryan, who took over from Peter Cundall in November 2008. He said he believed he had been sacked, given his contract was not being renewed, and he definitely was not retiring. ”Tim was very uncomfortable and said it was one of the worst things he’d had to do. The conversation lasted a couple of minutes and then he left. I thought he was coming to talk about the show and plans for next year so it was a bolt out of the blue and very upsettling. ”And when I was shown the press release stating that I was retiring [rather than my contract not being renewed] I refused to sign it. That’s covering up and I’ve always been upfront and honest with people. He said he had enjoyed working on the show and had not received any negative feedback about his performance as host. But Mr Ryan praised the ABC for choosing, three years ago, an unknown entity such as himself to replace the popular Peter Cundall. Tim Mitchell was unavailable for comment. This entry was posted on Thursday, December 1st, 2011 at 10:28 pm and is filed under GARDENING, PLANTS CROPS WEEDS, TELEVISION. You can follow any responses to this entry through the RSS 2.0 feed. You can leave a response, or trackback from your own site. Created by miloIIIIVII | Log in | 81 queries. 7.120 seconds. | Entries RSS | Comments RSS.